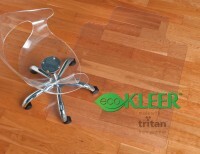 The ecoKLEER™ chairmat is the first-ever office product utilizing Eastman Tritan™ copolyester. Tritan is a new-generation copolyester that balances the properties of clarity, toughness and ease of processing, and is manufactured without bisphenol A (BPA). The ecoKLEER™ chairmat is available for carpet and hard floor applications in three sizes: 36 x 48 inches with lip; 45 x 53 inches with lip; and 46 x 60 inches rectangle. The ecoKLEER™ chairmat will be available through selected office product superstores, independent office product retailers, online resellers and flooring distributors. 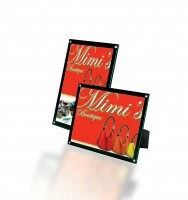 Fully assembled sign holders allow message to rest at an angle for easy viewing. Polished edge acrylic gives a high-end look enhancing your image. Available in four sizes. Say it with Style! 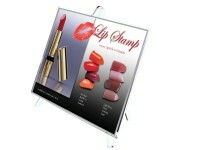 Premium sign holders by Deflecto are a great way to help communicate your message. Call us today for information about our full line of sign and literature holders. This versatile sign holder can be positioned vertical or horizontal on the countertop or wall. Inlayed design for perfect literature placement. Green, tinted edges offer a high end look. Black back panel creates a permanent border. Available in three sizes. Rotating display panels allow signage to be viewed on both sides. Clear acrylic panels with green tinted edges provide the look of real glass. Perfect for hotel, restaurant or retail use. Available in three sizes. Latex Free bands with the benefit of an antimicrobial agent, which inhibits the growth of fungi, molds and bacterial. 100% Latex Free bands contain no natural rubber proteins for those who suffer from latex allergy reactions. Rubber bands with attitude. Brites® Pic Pac bands are color coded for easy identification. Premium White Dry Erase Poster Board in 11”x14” & 22”x28” sheets. 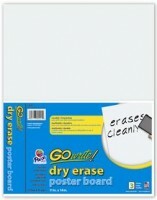 Coated one side with a quality dry erase patented technology for clean erasure. Suitable for art, office & school applications.